The EnerSys range of PowerSafe SBS batteries continues to offer unrivalled choice and performance in compact and energy dense configurations. PowerSafe SBS batteries are manufactured to the highest international standards and are ideal for reliable use in all wireless and fixed-line communication applications. PowerSafe SBS batteries are also widely used in cable TV, emergency lighting, power generation and offshore applications. 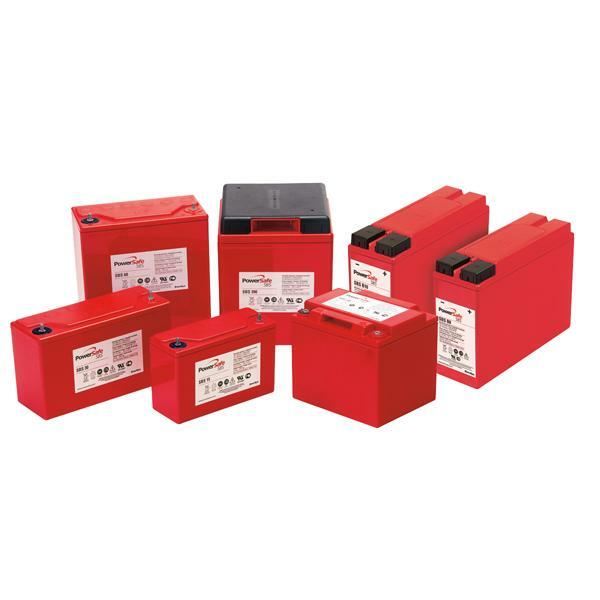 The PowerSafe SBS battery range is available in several configurations including the front terminal series, which has become extremely popular in leading edge telecom applications. Smaller than the competition, the design of the front terminal series offers improved flexibility where space is limited and makes installation and maintenance easier and faster. PowerSafe SBS batteries are designed to cope with raised temperatures and harsh environments. The advanced pure lead plate technology and unique manufacturing methods used by EnerSys, make PowerSafe SBS batteries the first choice for long and trouble-free service. 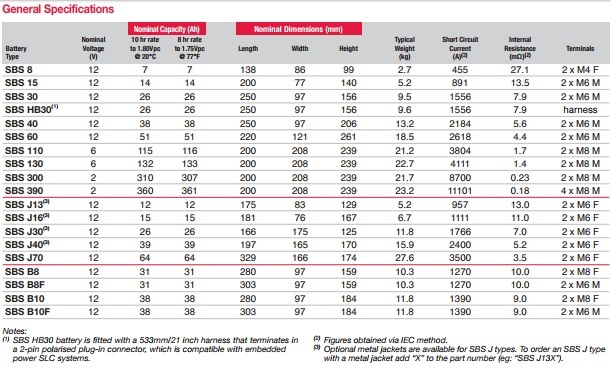 The maximum operating temperature of the PowerSafe SBS J battery series can be extended to 80°C via an optional metal jacket.